Greetings! 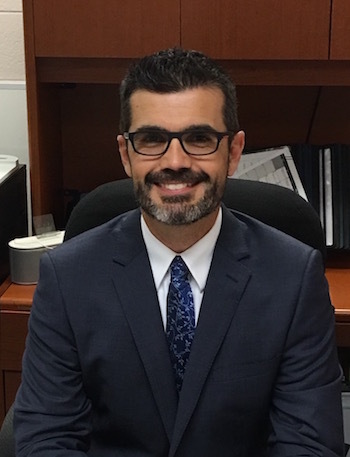 My name is Michael Caldwell and I am proud to serve as the Principal of Elkridge Elementary. My goal is to create a superior learning environment where students thrive academically. Student emotional and physical safety as well as academic success are the foundations of my decision making. Elkridge Elementary has a reputation for being the heart of the community and I look forward to carrying on that tradition. I have worked in the Howard County School System since 1997. My teaching career spanned nine years and included Grades 2 and 5 as well as the Gifted and Talented program. This is now my fourth school and eleventh year as an administrator. However my involvement with the school system actually begins years earlier. I am a graduate of Oakland Mills High School and began as a Kindergarten student at Talbott Springs in 1980. In addition, I have been a parent in the school system. All these experiences and perspectives have shaped me into the educator I am currently. In concert with the tremendous staff of the Elkridge, I look forward to working alongside of the PTA, families and community to make this the best school year ever! My name is Kristian Rutledge. I am honored to be serving as one of the Assistant Principals at Elkridge Elementary School. I am looking forward to working alongside the excellent staff at Elkridge and meeting all of the students and families. I have been working in the Howard County School system for the past 19 years. I began my career at Hammond Elementary in Laurel, Maryland as a special education teacher, teaching first and fifth grades. Next, I served as a classroom teacher in both 1st and 2nd grades. I was also fortunate to have served an an instructional team leader in both of those grades. I grew up in Pittsburgh, Pennsylvania where my parents and brother currently reside. I then moved to Annapolis, Maryland and lived there for seven years before moving to Elkridge with my husband and two children. If you ever have any questions or concerns or just want to say hello, my door is always open. Hello! I look forward to another wonderful year at Elkridge Elementary School. I have worked in Howard County for the past 22 years. I began my career as a first grade teacher at Forest Ridge Elementary School, taught English for Speakers of Other Languages (ESOL) at Swansfield Elementary School and was the assistant principal at Manor Woods Elementary School for the six years before coming to Elkridge Elementary. I grew up outside of Boston, Massachusetts, where my parents and younger brother still live. I lived in Canton for a while once I settled in Baltimore and now I live just outside of Catonsville with my dog, Harry. I love being so close to work! It was definitely a bonus when I realized that my commute would take less than 15 minutes! I have experienced great things at Elkridge Elementary within Elkridge as a community. I anticipate continuing to build great relationships while I am here. Please stop by, call or email to say hello or if you have any questions or concerns that I can address. Fast facts about Elkridge ES listing special programs, total enrollment, accomplishments and more.